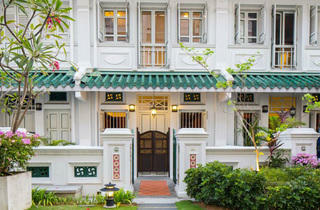 Better suited to long-term guests, this serviced apartment was awarded the URA Architectural Heritage Award in 2002. 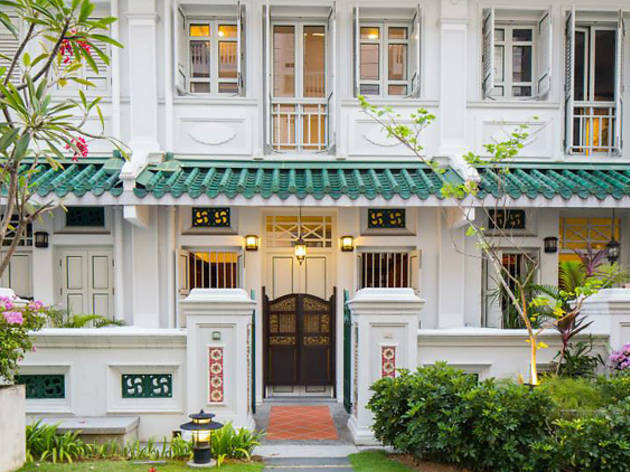 It’s filled with delightful Peranakan details like wooden floors, carved screens, furnishings and airy courtyards. Besides offering guests a slice of Straits Chinese culture, a quick walk round this neighbourhood, littered with convenience stores, pubs and dozens of small restaurants, gives an instant home-away-from-home feeling. From $7,900 for a 6-month lease.